More than 800,000 of the million plus Indians in Britain are Gujaratis. Theirs, in particular, has been the real Asian success story. 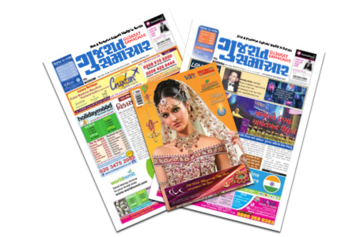 Gujarat Samachar has been serving them both in the UK and abroad for over 46 years, becoming the leading Gujarati language newsweekly in Europe and the most respected and influential paper for the Gujarati community in the UK. Established in May 1972 and distributed weekly via shop sales, subscriptions and online with a weekly readership in excess of 30,000, Gujarat Samachar is the most respected and influential paper for the Gujarati community. With numerous special issues throughout the year, and a ground breaking internet site we cater for all our readers needs, from the latest domestic and international news; features and community news; through finance and investment advice, to the latest Bollywood gossip, health and fashion tips. 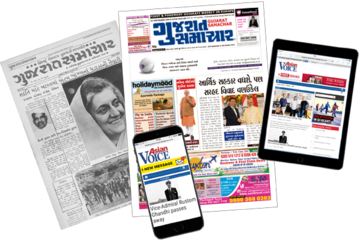 You'll find all the latest news and historical news on our Gujarat Samachar website, but you can also view our previous digital editions below.